~Pick you up from your hotel at 18:00-18:30. ~Watch the gorgeous Peking Opera night show, lasting from 19:30-20:50. ~Transfer back to your hotel before 21:20. * Want to have a private tour? 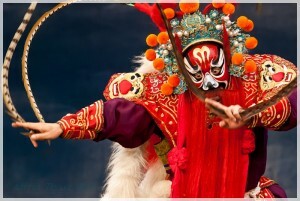 Check our private Beijing evening tours.